Gmail - All of my messages are marked as Important, how do I stop it? This issue started happening since eM Client 7.0 and it's because we changed the way we work with Gmail. Since we started supporting Gmail labels and folder structure, all labels are synchronized. 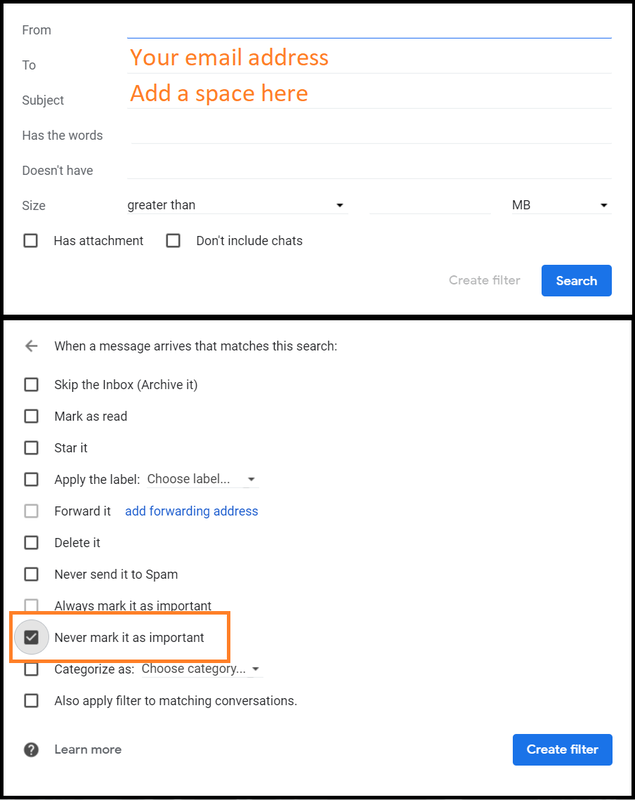 And one thing that was not visible before (and might not be visible in other clients) is that Gmail assigns the 'Important' label to all messages synchronize through IMAP. The only way to stop this from happening is to go to your Gmail settings in your web browser and creating a filter which will remove the Important label automatically from each message. Go to Gmail webmail, open Settings > Filters and Blocked addresses. Create a new filter where all messages accepted by your email address will never be marked as Important. Note: You can either apply the filter directly to all previous conversations or open the Important folder/label and manually select all messages and remove the Important label. If this filter does not seem to help a more drastic change might help - removing the Important markes from Gmail completely.